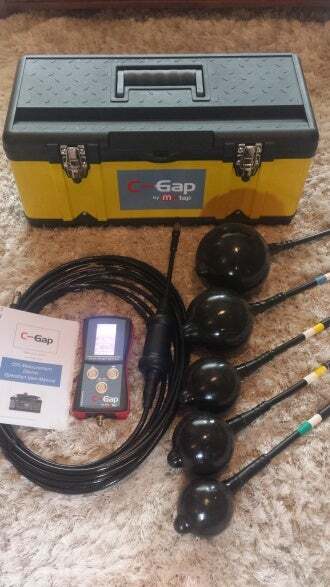 The C-Gap unit is being employed at Northparkes mine in NSW, Australia. The tool allows for quick and accurate measurement of the operation’s targeted 60mm – 120mm closed side setting in its Krupp 160-190 gyratory crusher. Please visit the company website for more information. Image: C-Gap toolkit used at Northparkes mine. Photo: courtesy of Mintap.